This particular project began by using the existing footprint of a well-done DIY deck. 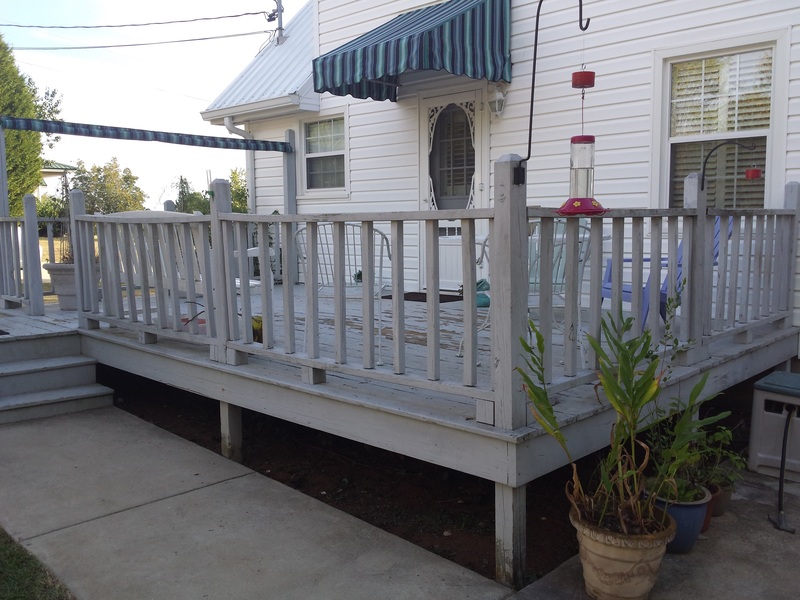 The homeowner had built the existing wooden deck some 10+ years back, and structurally, the deck was in good shape. However, over time, lack of maintenance and exposure to the elements had caused the deck to wither and age. 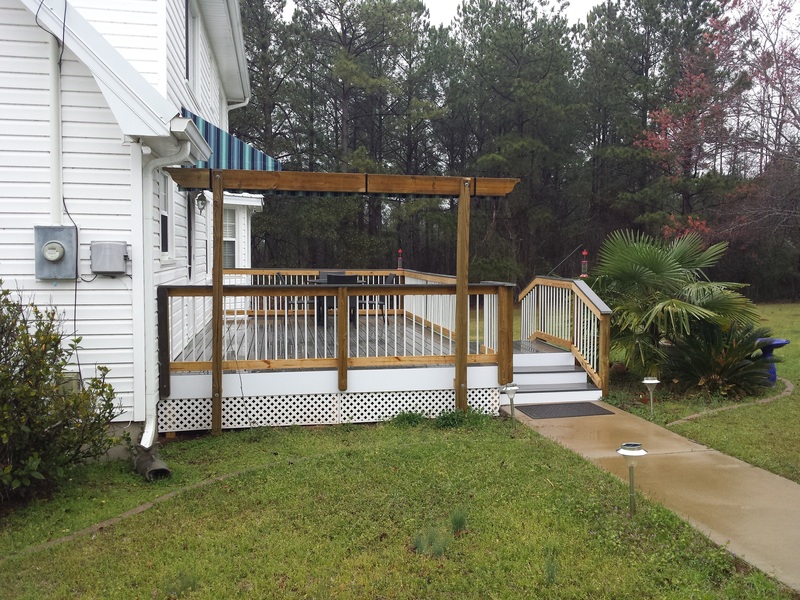 Following a thorough inspection of the existing deck, Archadeck of Central GA deemed the structure sound. The only facet not built according to code was the railing. Using the same footprint, we redecked the structure with low-maintenance Fiberon ProTect Advantage decking in Gray Birch. This high-quality decking mimics the look of premium hardwoods and features a 3-sided PermaTech® cap layer for exceptional stain and fade resistance. The solid composite core resists splintering, cracking and decay and is backed by a 25-year warranty. 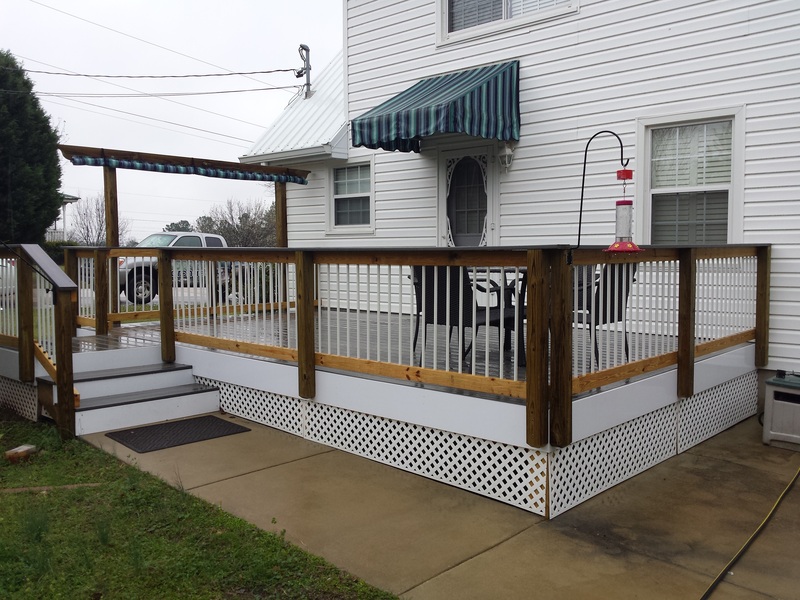 In addition to replacement of the decking boards with the new Fiberon product, Archadeck of Central GA also installed a new white PVC edge band, new railing with white Deckorators pickets and rebuilt the privacy trellis/screen area. If your backyard deck has seen better days, then maybe it is time to consider redecking as an option to enhance, extend and beautify its function and livability. If the substructure (which is the base that the deck is built on) is in good shape, you may be able to save money and time by redecking instead of demolishing your old deck and starting from scratch. There are two key elements we will use to determine if your deck is a candidate for redecking: the quality of the original substructure and how it has weathered over time. If any applicable building codes have changed since the deck was originally installed, we will make sure it complies with those as well. Call 478-745-2000, email us or fill out the form on this page and we will quickly get in touch with you.